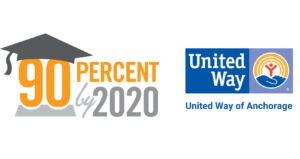 90% Graduation by 2020 is a community collaboration lead by United Way of Anchorage which coordinates participants, builds public will, mobilizes funding and engages volunteers in the effort to reach a 90% graduation rate by the year 2020. 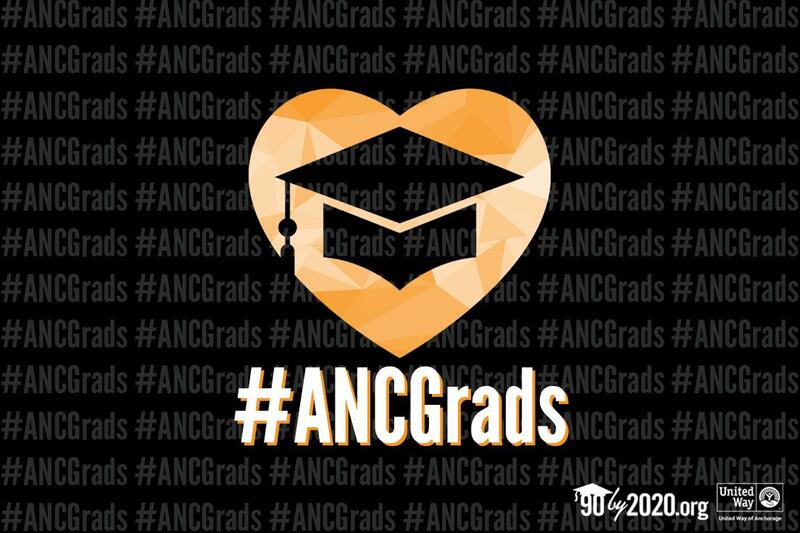 Through focusing our efforts on students most likely to drop out, the collaboration has helped raise graduation rates in Anchorage over 20 percent in the last 14 years. We are fortunate to have several community partners who understand the investment needed in the future of our community. Thank you to these organizations that have provided funding in the past and present to make this work possible. Rasmuson Foundation awarded $1 million over the course of three years for work associated with 90% by 2020. AT&T awarded United Way of Anchorage a $750,000 Aspire Grant in partnership with the Anchorage School District and Covenant House Alaska over two years to help fund the Back on Track initiative. ConocoPhillips donated over $500,000 over the last eight years for the Community PLUS Schools initiative. First National Banks of Alaska directed $120,000 of their corporate gift over the last five years to ensure more kids are successful and prepared. CIRI donated $40,000 through their annual golf tournament. BP donated $30,000 to the Back on Track initiative to hire teachers to work with youth at high risk of not graduating. This gift supplemented a grant for funds that could not be used to support school district employees. The Municipality of Anchorage awarded a grant of $31,000 to provide transportation to and from after-school activities for Community PLUS Schools students. ExxonMobil contributed $30,000 to 90% by 2020 efforts over the last five years. Wells Fargo makes a corporate match to 90% by 2020 with their workplace campaign. In-kind donation received from Covenant House Alaska for the Back on Track initiative. Anchorage School District provides teaching and support services for the Back on Track initiative. Alaska Public Media provided in-kind promotional support for 90% by 2020. United Way of Anchorage through workplace campaign donors provides major funding to the 90% by 2020 initiative.